Glasgow Caledonian University Honorary Professors Caroline Rush and Jane Shepherdson are to receive CBEs for services to the British fashion industry and the retail industry respectively. 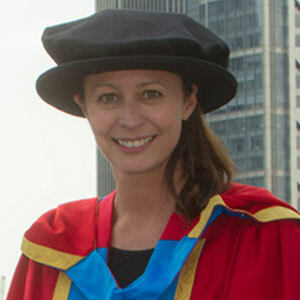 Professor Rush, Chief Executive of the British Fashion Council, was appointed Honorary Professor at the British School of Fashion, GCU London in March 2014. GCU appointed Professor Jane Shepherdson, CEO of premium retailer Whistles, at its GCU London winter graduation ceremony in November 2014. Ms Shepherdson was also presented with a Lifetime Achievement Award by GCU in recognition of her outstanding contribution to the fashion industry. More than 1100 people have been named on the New Year Honours List, 150 of them from Scotland. They include Councillor Gordon Matheson, Leader of Glasgow City Council, who is to receive a CBE, his deputy Councillor Archie Graham, who will receive an OBE, both for services to local government, and Bridget McConnell, Glasgow 2014 board member and chief executive of Glasgow Life, who will be presented with a CBE for her services to culture.